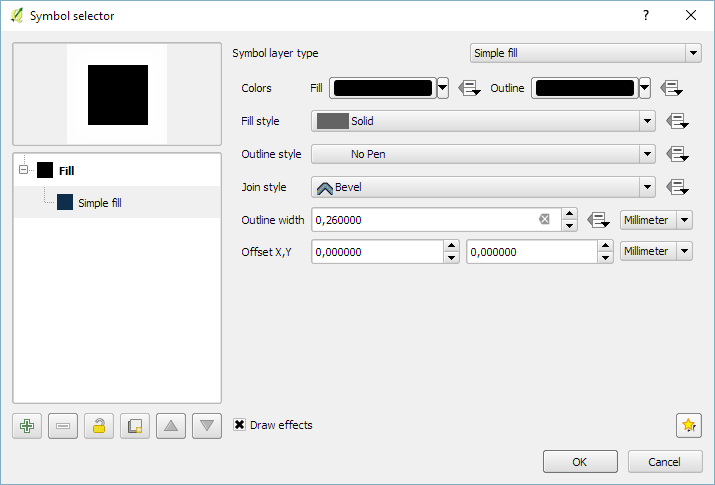 Thanks to an anonymous corporate sponsor, we’ve recently had the opportunity to add a new Hashed Line symbol type for QGIS 3.8. This allows for a repeating line segment to be drawn over the length of a feature, with a line-sub symbol used to render each individual segment. 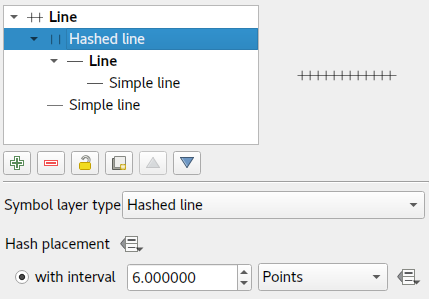 There’s tons of options available for customising the appearance and placement of line hashes. 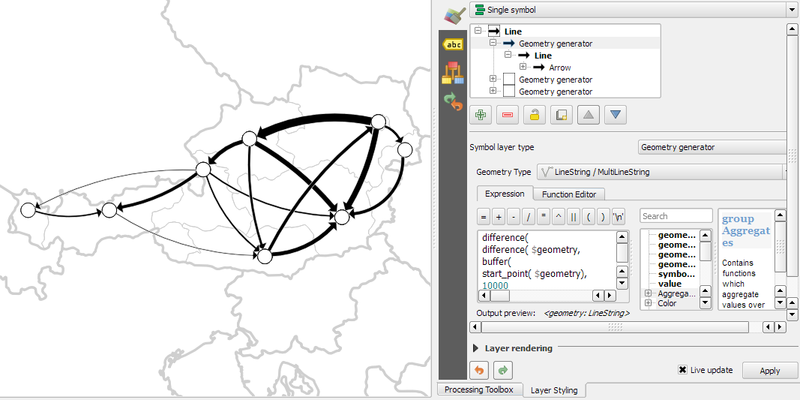 We based the feature heavily off QGIS’ existing “Marker Line” support, so you can create hashed lines placed at set intervals, on line vertices, or at the start/end/middle of lines. There’s options to offset the lines, and tweak the rotation angle of individual hashes too. 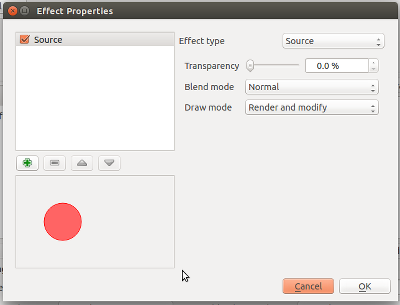 Added to QGIS’ rich support for “data defined” symbol properties, this allows for a huge range of new symbol effects. Or even go completely “meta” and use a hashed line sub symbol for the hash line itself! Or a chunky green highlighter! This same corporate sponsor also funded a change which results in a huge improvement to the appearance of both rotated hashed lines and marker lines. Previously, when marker or hash lines were rendered, the symbol angles were determined by taking the exact line orientation at the position of the symbol. This often leads to undesirable rendering effects, where little “bumps” or corners in lines which occur at the position of the symbol cause the marker or hash line to be oriented at a very different angle to what the eye expects to see. With this improvement, the angle is instead calculated by averaging the line over a specified distance either side of the symbol. E.g. averaging the line angle over 4mm means we take the points along the line 2mm from either side of the symbol placement, and use these instead to calculate the line angle for that symbol. This has the effect of smoothing (or removing) any tiny local deviations from the overall line direction, resulting in much nicer visual orientation of marker or hash lines. Suffice to say, cartographers will definitely appreciate the result! 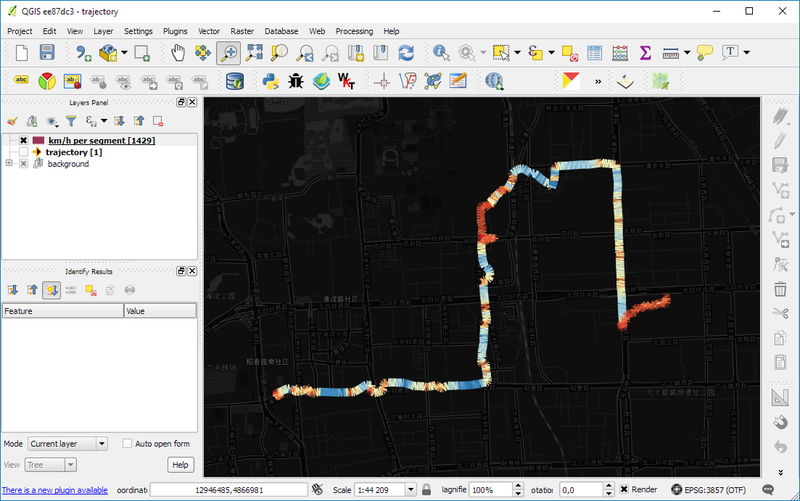 Lastly, we’ve taken this new hash line feature as an opportunity to implement automatic conversion of ESRI hash line symbols within our SLYR ESRI to QGIS conversion tool. Read more about SLYR here, and how you can purchase this tool for .style, .lyr and .mxd document conversion. If you follow me on Twitter, you have probably already heard that the ebook of “QGIS Map Design 2nd Edition” has now been published and we are expecting the print version to be up for sale later this month. Gretchen Peterson and I – together with our editor Gary Sherman (yes, that Gary Sherman!) – have been working hard to provide you with tons of new and improved map design workflows and many many completely new maps. By Gretchen’s count, this edition contains 23 new maps, so it’s very hard to pick a favorite! “QGIS Map Design 2nd Edition” provides how-to instructions, as well as data and project files for each recipe. So you can jump right into it and work with the provided materials or apply the techniques to your own data. The ebook is available at LocatePress. If you have already designed a few maps in QGIS, you are probably aware of a long-standing limitation: Print Composer maps were limited to the project’s coordinate reference system (CRS). It was not possible to have maps with different CRS in a composition. Note how I’ve been using the past tense? Rejoice! QGIS 3 gets rid of this limitation. Print Composer has been replaced by the new Layout dialog which – while very similar at first sight – offers numerous improvements. But today, we’ll focus on projection handling. As you can see, the red overview frame in the upper left corner is curved to correctly represent the extent of the main map. This opens up a whole new level of map design possibilities. Bonus fact: Another great improvement related to projections in QGIS3 is that Processing tools are now aware of layers with different CRS and will actively reproject layers. This makes it possible, for example, to intersect two layers with different CRS without any intermediate manual reprojection steps. This is a guest post by Chris Kohler @Chriskohler8. This guide provides step-by-step instructions to produce drive-time isochrones using a single vector shapefile. The method described here involves building a routing network using a single vector shapefile of your roads data within a Virtual Box. Furthermore, the network is built by creating start and end nodes (source and target nodes) on each road segment. We will use Postgresql, with PostGIS and Pgrouting extensions, as our database. Please consider this type of routing to be fair, regarding accuracy, as the routing algorithms are based off the nodes locations and not specific addresses. I am currently working on an improved workflow to have site address points serve as nodes to optimize results. One of the many benefits of this workflow is no financial cost to produce (outside collecting your roads data). I will provide instructions for creating, and using your virtual machine within this guide. Intro 2. Start the download/install OSGeo-Live 11(https://live.osgeo.org/en/overview/overview.html). Intro 3. Ready for virtual machine creation: We will utilize the downloaded OSGeo-Live 11 suite with a virtual machine we create to begin our workflow. The steps to create your virtual machine are listed below. Also, here are steps from an earlier workshop with additional details with setting up your virtual machine with osgeo live(http://workshop.pgrouting.org/2.2.10/en/chapters/installation.html). 1. Create Virutal Machine: In this step we begin creating the virtual machine housing our database. Open Oracle VM VirtualBox Manager and select “New” located at the top left of the window. Then fill out name, operating system, memory, etc. to create your first VM. 2. Add IDE Controller: The purpose of this step is to create a placeholder for the osgeo 11 suite to be implemented. In the virtual box main window, right-click your newly-created vm and open the settings. In the settings window, on the left side select the storage tab. Find “adds new storage controller” button located at the bottom of the tab. Be careful of other buttons labeled “adds new storage attachment”! Select “adds new storage controller” button and a drop-down menu will appear. From the top of the drop-down select “Add IDE Controller”. You will see a new item appear in the center of the window under the “Storage Tree”. 3. 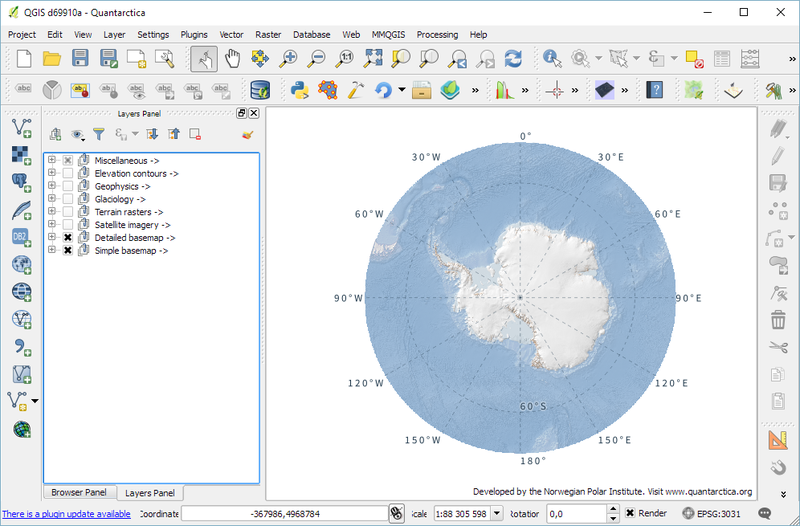 Add Optical Drive: The osgeo 11 suite will be implemented into the virtual machine via an optical drive. Highlight the new controller IDE you created and select “add optical drive”. A new window will pop-up and select “Choose Disk”. Locate your downloaded file “osgeo-live 11 amd64.iso” and click open. A new object should appear in the middle window under your new controller displaying “osgeo-live-11.0-amd64.iso”. Finally your virtual machine is ready for use. Start your new Virtual Box, then wait and follow the onscreen prompts to begin using your virtual machine. 4. Creating the routing database, and both extensions (postgis, pgrouting): The database we create and both extensions we add will provide the functions capable of producing isochrones. You can use “\c routing” to connect to the database after creation. The next step after creating and connecting to your new database is to create both extensions. I find it easier to take two-birds-with-one-stone typing “psql -U user routing;” this will simultaneously log you into postgresql and your routing database. 5. 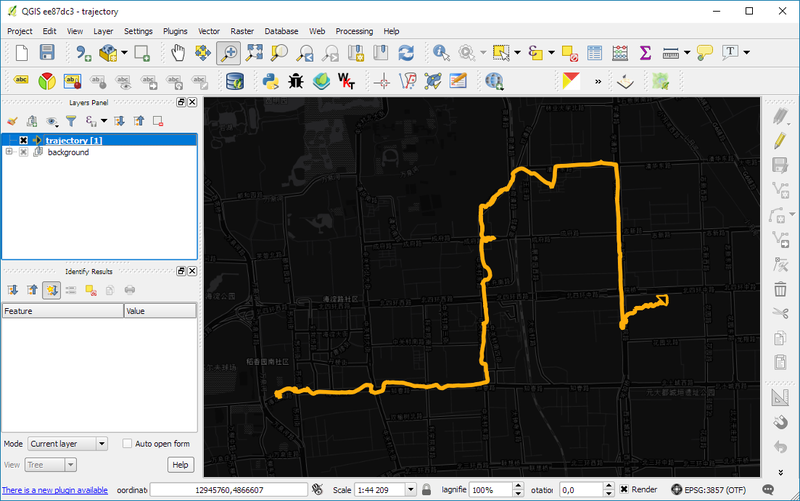 Load shapefile to database: In this next step, the shapefile of your roads data must be placed into your virtual machine and further into your database. My method is using email to send myself the roads shapefile then download and copy it from within my virtual machines web browser. From the desktop of your Virtual Machine, open the folder named “Databases” and select the application “shape2pgsql”. Follow the UI of shp2pgsql to connect to your routing database you created in Step 4. Next, select “Add File” and find your roads shapefile (in this guide we will call our shapefile “roads_table”) you want to use for your isochrones and click Open. Finally, click “Import” to place your shapefile into your routing database. 6. Add source & target columns: The purpose of this step is to create columns which will serve as placeholders for our nodes data we create later. There are multiple ways to add these columns into the roads_table. The most important part of this step is which table you choose to edit, the names of the columns you create, and the format of the columns. Take time to ensure the source & target columns are integer format. Below are the commands used in your command line for these functions. 7. 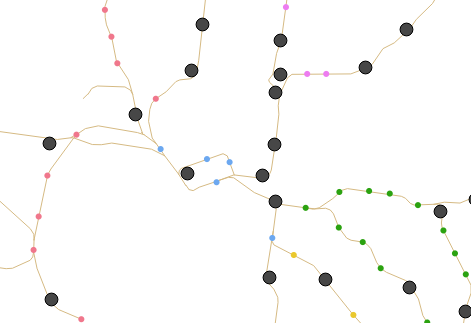 Create topology: Next, we will use a function to attach a node to each end of every road segment in the roads_table. The function in this step will create these nodes. These newly-created nodes will be stored in the source and target columns we created earlier in step 6. 8. Create a second nodes table: A second nodes table will be created for later use. This second node table will contain the node data generated from pgr_createtopology function and be named “node”. Below is the command function for this process. Fill in your appropriate source and target fields following the manner seen in the command below, as well as your shapefile name. To begin, find the folder on the Virtual Machines desktop named “Databases” and open the program “pgAdmin lll” located within. Connect to your routing database in pgAdmin window. 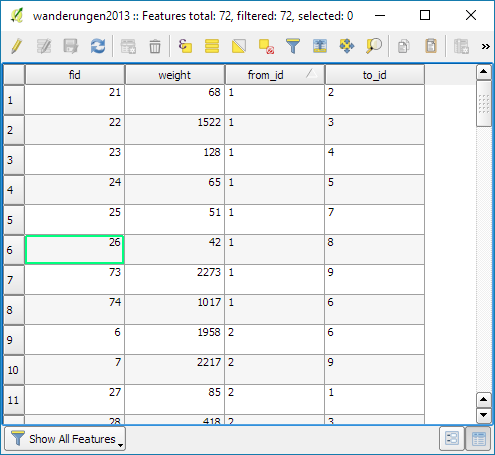 Then highlight your routing database, and find “SQL” tool at the top of the pgAdmin window. The tool resembles a small magnifying glass. 10. Create a “noded” view of the network: This new view will later be used to calculate the visual isochrones in later steps. Input this command and execute in SQL pgAdmin tool. 11.​ Add column for speed:​ This step may, or may not, apply if your original shapefile contained a field of values for road speeds. In reality a network of roads will typically contain multiple speed limits. The shapefile you choose may have a speed field, otherwise the discrimination for the following steps will not allow varying speeds to be applied to your routing network respectfully. If values of speed exists in your shapefile we will implement these values into a new field, “traveltime“, that will show rate of travel for every road segment in our network based off their geometry. Firstly, we will need to create a column to store individual traveling speeds. The name of our column will be “traveltime” using the format: ​double precision.​ Input this command and execute in the command line tool as seen below. Next, we will populate the new column “traveltime” by calculating traveling speeds using an equation. This equation will take each road segments geometry(shape_leng) and divide by the rate of travel(either mph or kph). The sample command I’m using below utilizes mph as the rate while our geometry(shape_leng) units for my roads_table is in feet​. If you are using either mph or kph, input this command and execute in SQL pgAdmin tool. Below further details explain the variable “X”. How to find X​, ​here is an example​: Using example 30 mph as rate. To find X, we convert 30 miles to feet, we know 5280 ft = 1 mile, so we multiply 30 by 5280 and this gives us 158400 ft. Our rate has been converted from 30 miles per hour to 158400 feet per hour. 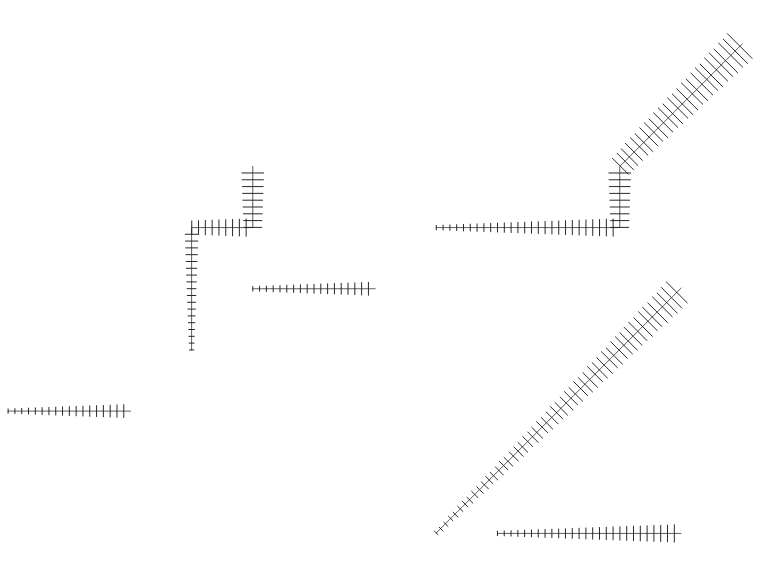 For a rate of 30 mph, our equation for the field “traveltime” equates to “shape_leng / 158400*60″. To discriminate this calculations output, we will insert additional details such as “where speed = 30;”. What this additional detail does is apply our calculated output to features with a “30” value in our “speed” field. Note: your “speed” field may be named differently. The back end is done. Great Job! 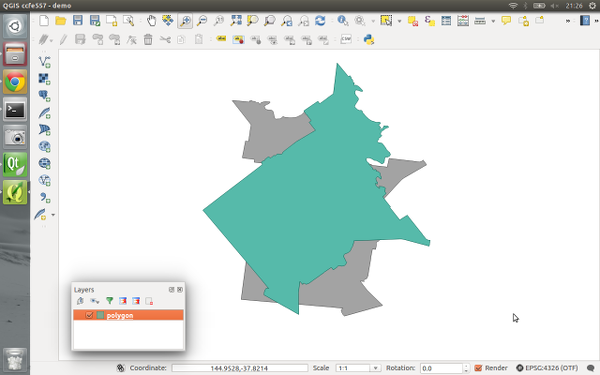 Our next step will be visualizing our data in QGIS. 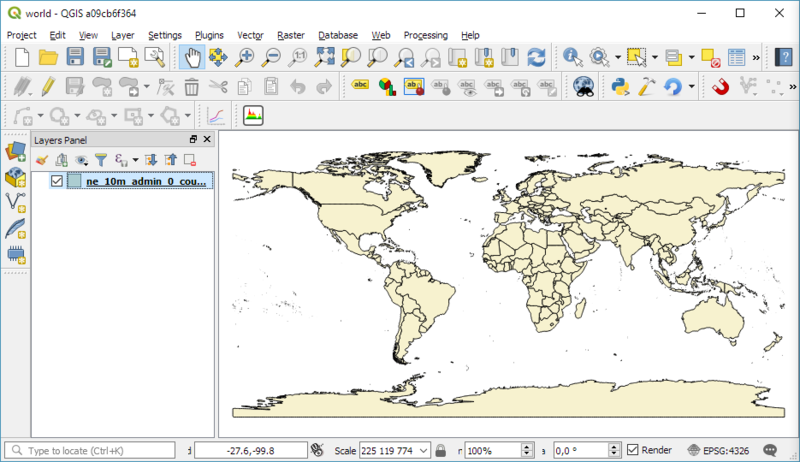 Open and connect QGIS to your routing database by right-clicking “PostGIS” in the Browser Panel within QGIS main window. Confirm the checkbox “Also list tables with no geometry” is checked to allow you to see the interior of your database more clearly. Fill out the name or your routing database and click “OK”. If done correctly, from QGIS you will have access to tables and views created in your routing database. 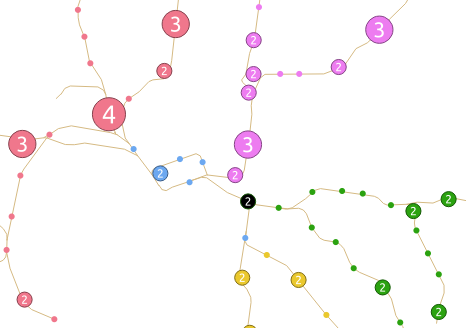 Feel free to visualize your network by drag-and-drop the network table into your QGIS Layers Panel. From here you can use the identify tool to select each road segment, and see the source and target nodes contained within that road segment. The node you choose will be used in the next step to create the views of drive-time. 12. ​Create views​: In this step, we create views from a function designed to determine the travel time cost. Transforming these views with tools will visualize the travel time costs as isochrones. Place the source or target field value in the below command where you see ​VALUE​, in all caps​. This will serve you now as an isochrone catchment function for this workflow. Please feel free to use this command repeatedly for creating new isochrones by substituting the source value. Please input this command and execute in SQL pgAdmin tool. 13. ​Visualize Isochrone: Applying tools to the view will allow us to adjust the visual aspect to a more suitable isochrone overlay. ​After creating your view, a new item in your routing database is created, using the “view_name” you chose. 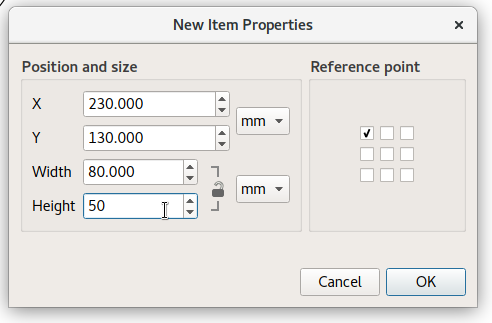 Drag-and-drop this item into your QGIS LayersPanel. You will see lots of small dots which represent the nodes. In the figure below, I named my view “take1“. Each node you see contains a drive-time value, “cost”, which represents the time used to travel from the node you input in step 12’s function. 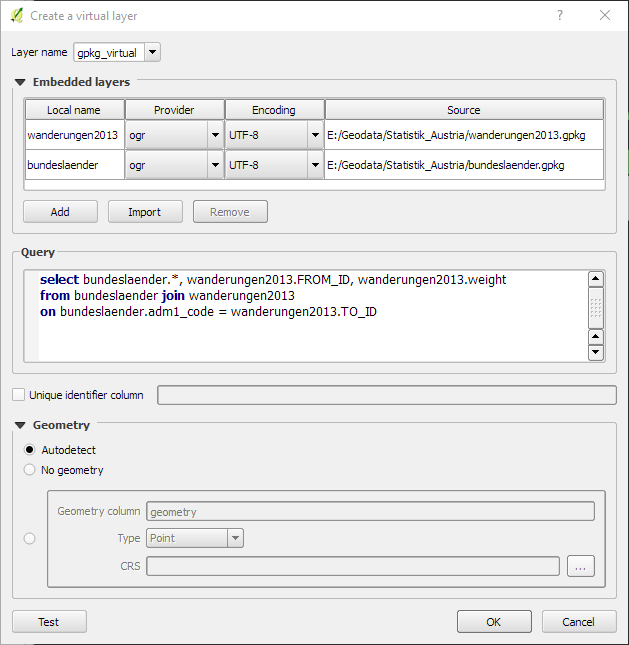 Start by installing the QGIS plug-in “Interpolation” by opening the Plugin Manager in QGIS interface. 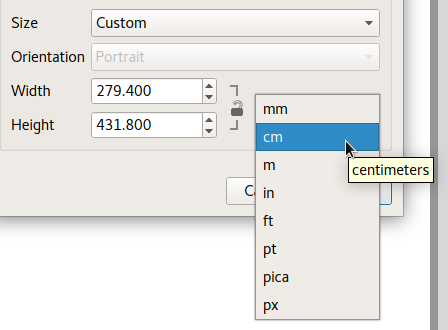 Next, at the top of QGIS window select “Raster” and a drop-down will appear, select “Interpolation”. A new window pops up and asks you for input. 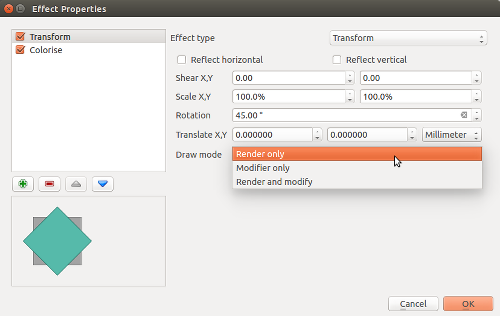 Select your “​view”​ as the​ vector layer​, select ​”cost​” as your ​interpolation attribute​, and then click “Add”. A new vector layer will show up in the bottom of the window, take care the type is “Points“. For output, on the other half of the window, keep the interpolation method as “TIN”, edit the ​output file​ location and name. Check the box “​Add result to project​”. 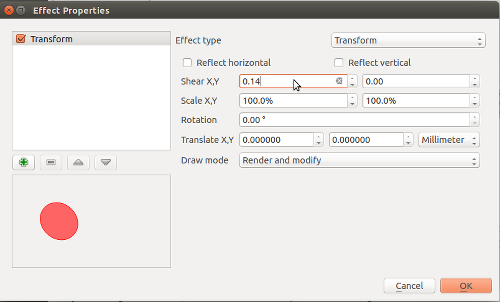 Note: decreasing the cellsize of X and Y will increase the resolution but at the cost of performance. Click “OK” on the bottom right of the window. A black and white raster will appear in QGIS, also in the Layers Panel a new item was created. Take some time to visualize the raster by coloring and adjusting values in symbology until you are comfortable with the look. 14. ​Create contours of our isochrone:​ Contours can be calculated from the isochrone as well. 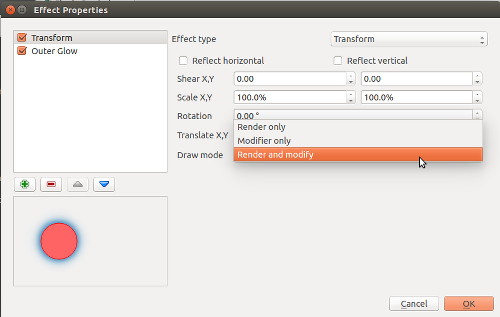 Find near the top of QGIS window, open the “Raster” menu drop-down and select Extraction → Contour. Fill out the appropriate interval between contour lines but leave the check box “Attribute name” unchecked. Click “OK”. 15.​ Zip and Share:​ Find where you saved your TIN and contours, compress them in a zip folder by highlighting them both and right-click to select “compress”. Email the compressed folder to yourself to export out of your virtual machine. Following our recent successful QGIS Layout and Reporting Engine crowdfunding campaign, we’ve been hard at working ripping up the internals of the QGIS 2.x print composer and rebuilding a brand new, shiny QGIS layouts engine. This is exciting work – it’s very satisfying to be able to cleanup a lot of the old composer code in QGIS and take opportunities along the way to fix long standing bugs and add new features. Page handling has been totally reworked. 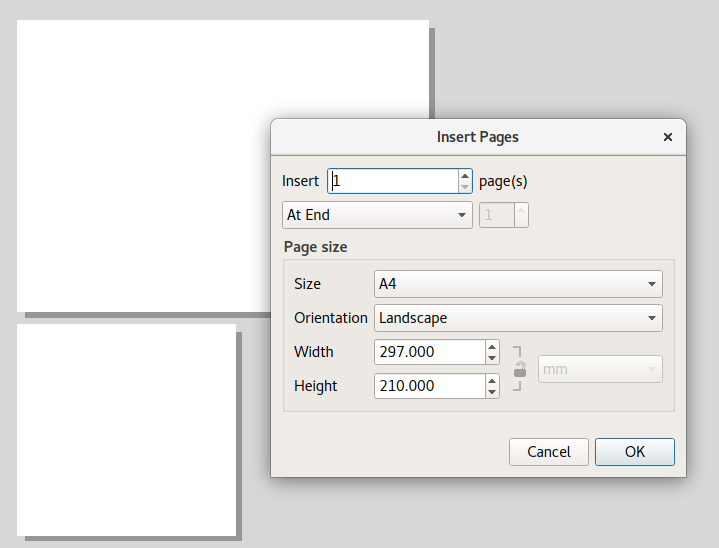 Instead of the single “number of pages” control available in QGIS 2.x, layouts have complete flexibility in page setup. It’s now possible to have a layout with mixed page sizes and orientations (including data defined page size for different pages in the layout!). On the topic of plugins – the layout branch has full support for plugin-provided item types. 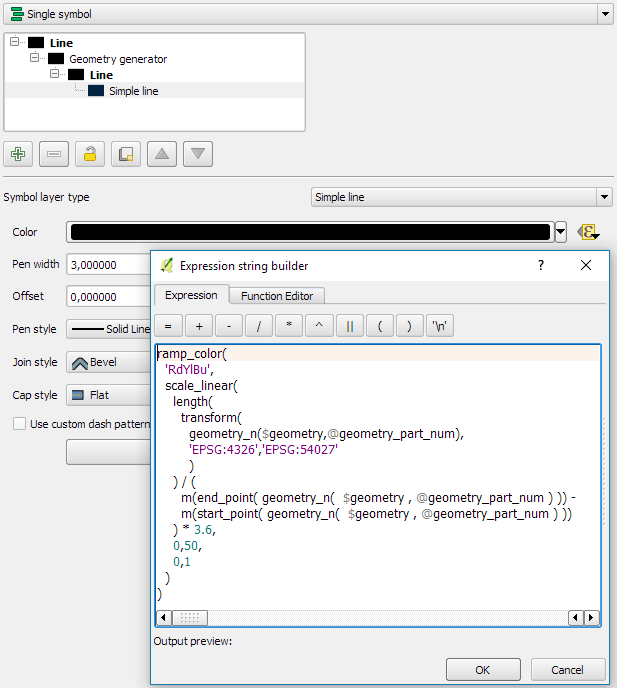 This means that QGIS plugins can create new classes of items which can be added to a layout. This opens the door for plugins allowing charts and visualisations which take advantage of all the mature Python and JS charting libraries! This is a really exciting change – in 2.x there was no way for plugins to extend or interact with composer, so we’re really keen to see where the community takes this when 3.0 is released. Snapping to guides now occurs when creating new layout items (this didn’t happen in Composer in 2.x – only snapping to grids occurred when drawing new items). The snapped cursor position is shown in status bar whenever a snapped point will be used, instead of the unsnapped position. 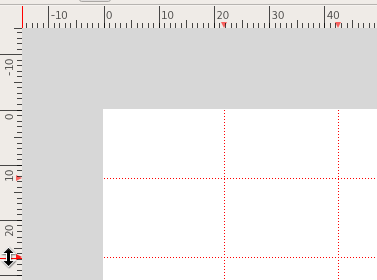 Unlike in Composers in QGIS 2.x, Layouts in 3.0 adopt the standard UX of dragging out rulers to create guide lines (instead of clicking on a ruler position to create a new guide). Creation of a horizontal guide is now done by grabbing the top ruler and dragging it down, and a vertical guide is created by grabbing the left ruler and dragging it out to the layout. Better feedback is given in the ruler when a guide can be dragged. 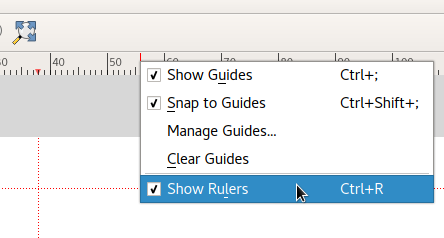 We now show guide positions in the rulers, and give an indication (via mouse cursor change) when these guides can be repositioned by click-and-drag. Another very exciting change is the addition of a new “Guide Manager”. The guide manager allows numeric modification of existing guides and creation of new guides. Finally it’s possible to position guides at exact locations! 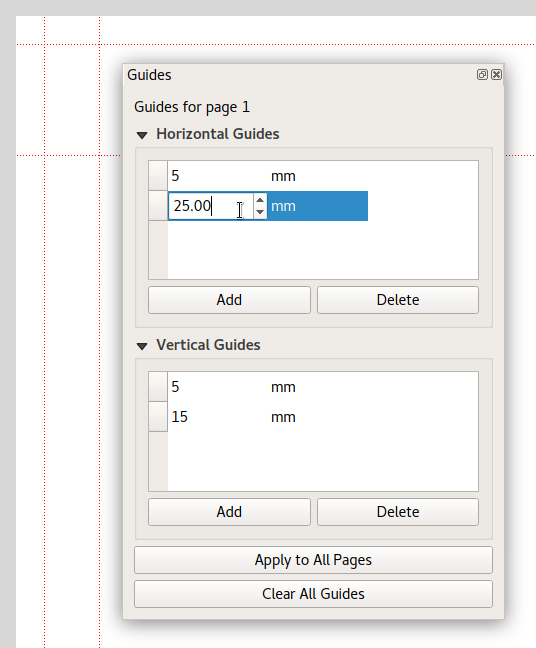 Again, you can see the full support for layout units in place here – guides can be positioned using any available unit. There’s also a handy new shortcut in the Guide Manager to allow applying the guides from the current page to all other pages in your layout. We’ve refined the snapping logic. 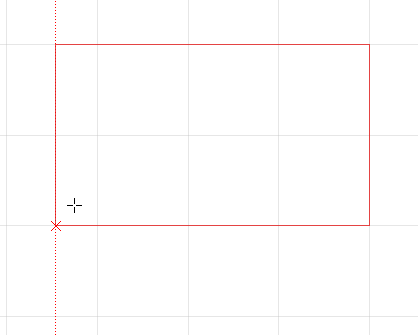 In Composer in QGIS 2.x, grids would always take precedence whenever both a grid and guide were within tolerance of a point. Now, guides will always take precedence – since they have been manually set by users we make the assumption that they have been explicitly placed at highly desirable snapping locations, and should be selected over the general background grid. 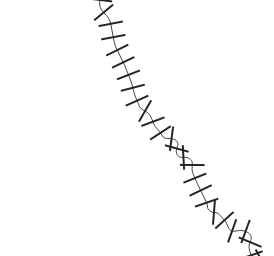 Additionally, grid snapping was previously only done if BOTH the x and y of the point could be snapped to the grid. We now snap to the nearest grid line for x/y separately. This means if a point is close to a vertical grid line but not a horizontal one it will still snap to that nearby vertical grid line. 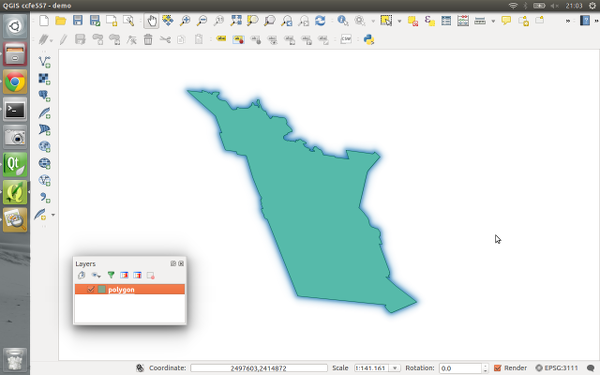 This is just a taster of the great new functionality coming in QGIS 3.0. This is all a direct result of the forward-thinking investments and generosity of the backers in our QGIS Layout and Reporting Engine crowdfunding campaign. Without their contributions, none of this would be possible – so our thanks go out to those organisations and individuals once again! 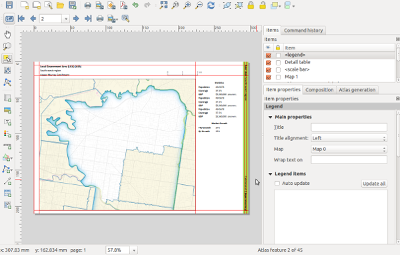 QGIS Layout and Reporting Engine Campaign – a success! Thanks to the tireless efforts and incredible generosity of the QGIS user community, our crowdfunded QGIS Layout and Reporting Engine campaign was a tremendous success! 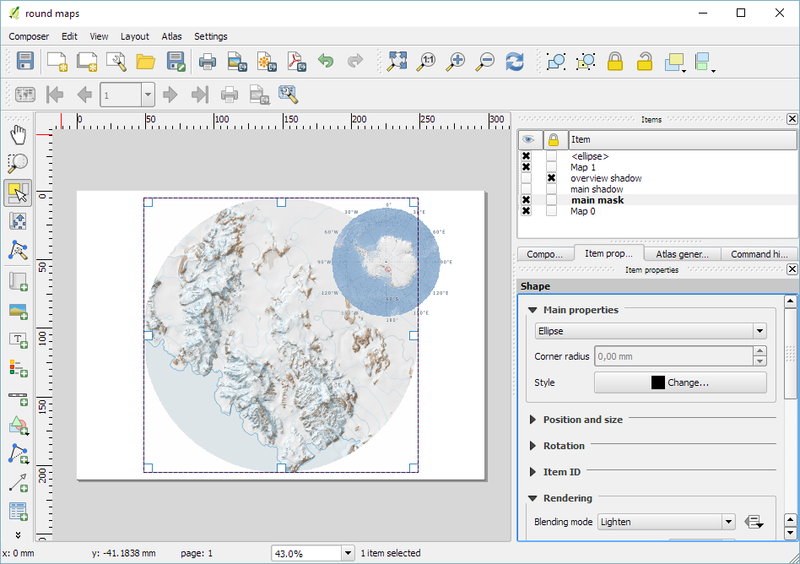 We’ve reached the funding goal for this project, and as a result QGIS 3.0 will include a more powerful print composer with a reworked code base. You can read more about what we have planned at the campaign page. We’ve also received numerous anonymous contributions in addition to these – please know that the QGIS community extends their gratitude for your contributions too! This campaign was also successful thanks to The Agency for Data Supply and Efficiency, Denmark, who stepped up and have funded an initial component of this project directly. We’d also like to thank every member of the QGIS community who assisted with promoting this campaign and bringing it to the attention of these backers. Without your efforts we would not have been able to reach these backers and the campaign would not have been successful. 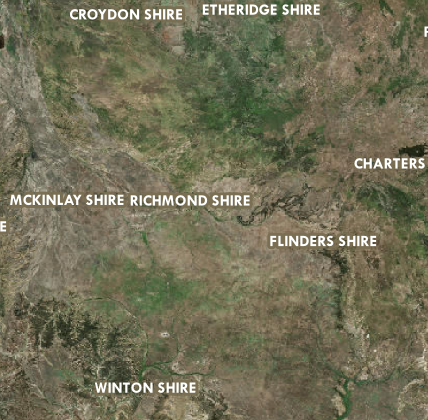 A lot of cartographers have a love/hate relationship with label halos. On one hand they can be an essential technique for improving label readability, especially against complex background layers. 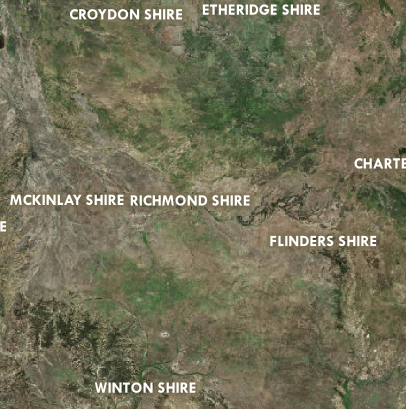 On the other hand they tend to dominate maps and draw unwanted attention to the map labels. Sure, it’s easy to read the labels now, but they stand out way too much and it’s difficult to see anything here except the labels! This is much better. We’ve got readable labels which aren’t too domineering. Unfortunately the halo effect is still very prominent, especially where the background image varies a lot. In this case it works well for the labels toward the middle of the map, but not so well for the labels at the top and bottom. 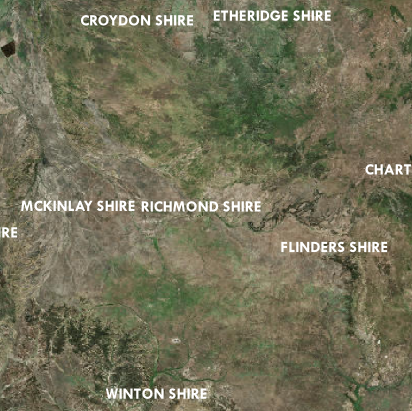 The most noticeable differences are the labels shown above darker areas – the “Winton Shire” label at the bottom and the “Etheridge Shire” at the top. For both these labels the halo is almost imperceptible whilst still subtly doing it’s part to make the label readable. 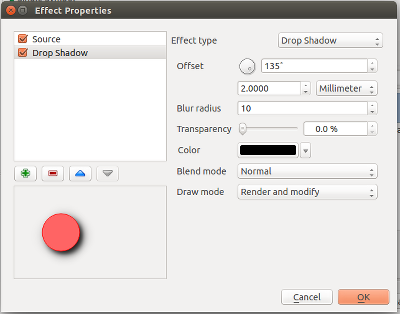 (If you had dark label text with a lighter halo color, you can use the “lighten” blend mode for the same result). 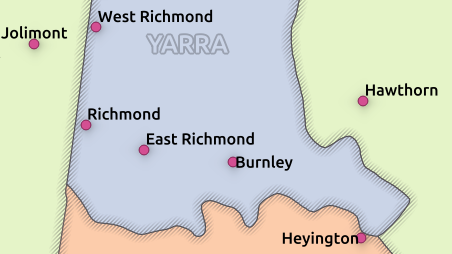 Compare especially the Winton Shire label at the bottom, and the Richmond Shire label in the middle. 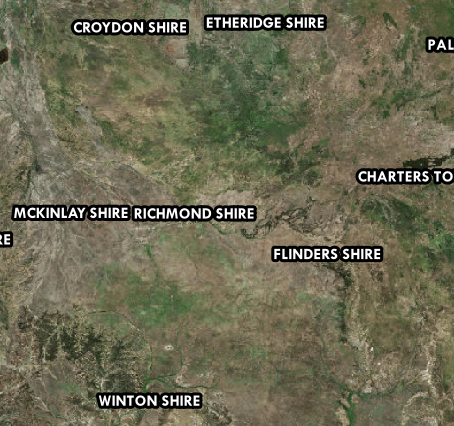 These are much clearer on our tweaked map versus the above image. Now for the good news… when QGIS 3.0 is released you’ll no longer have to rely on an external illustration/editing application to get this effect with your maps. 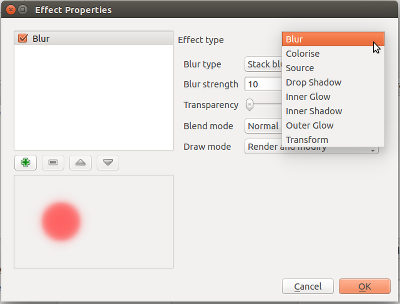 In fact, QGIS 3.0 is bringing native support for applying many types of live layer effects to label buffers and background shapes, including blur. This means it will be possible to reproduce this technique directly inside your GIS, no external editing or tweaking required! 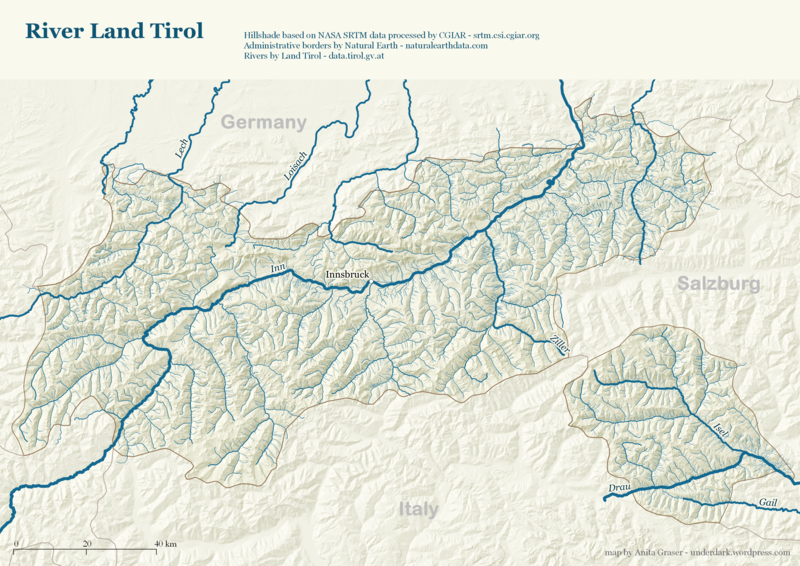 In 2012 I published a post on mapping the then newly released Tirol river dataset. Do you think it would be possible to create a river stream which gains width along its way? 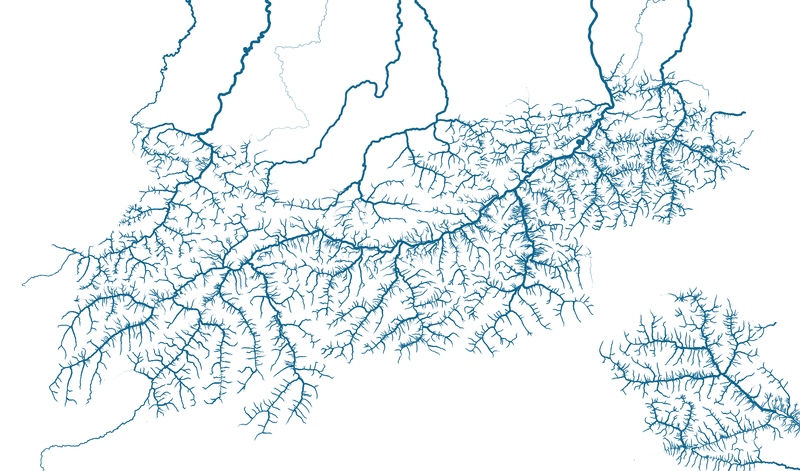 I mean rivers are usually much narrower on their beginnings, then their width increases and the estuary should be the widest part, right? 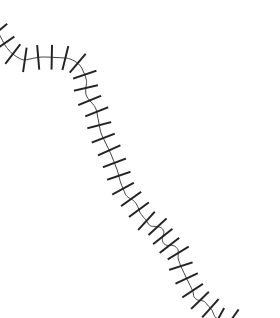 For a long time, this kind of river style, also known as “tapered lines” could only be created in vector graphics software, such as Inkscape and Illustrator. In the river dataset published by the state of Tirol, all rivers are digitized in upstream direction. 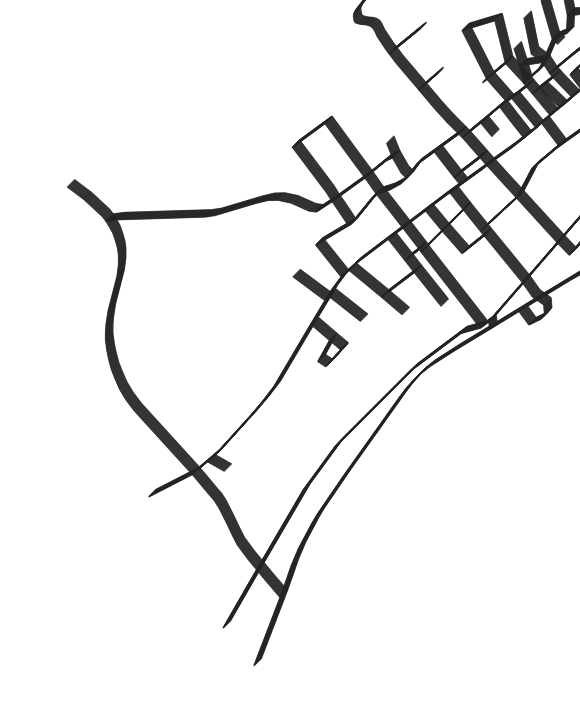 For this styling to work, it is necessary that the line direction is consistent throughout the whole dataset. 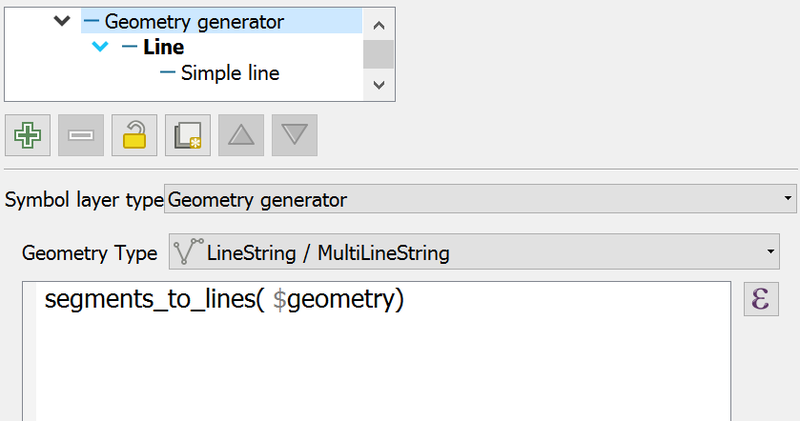 Then we can use the information about the total number of segments (accessible via the expression variable @geometry_part_count) and the individual segment’s number (@geometry_part_num) to calculate the segment’s line width. If the rivers are digitized in downstream direction, you can simply remove the 1- term. 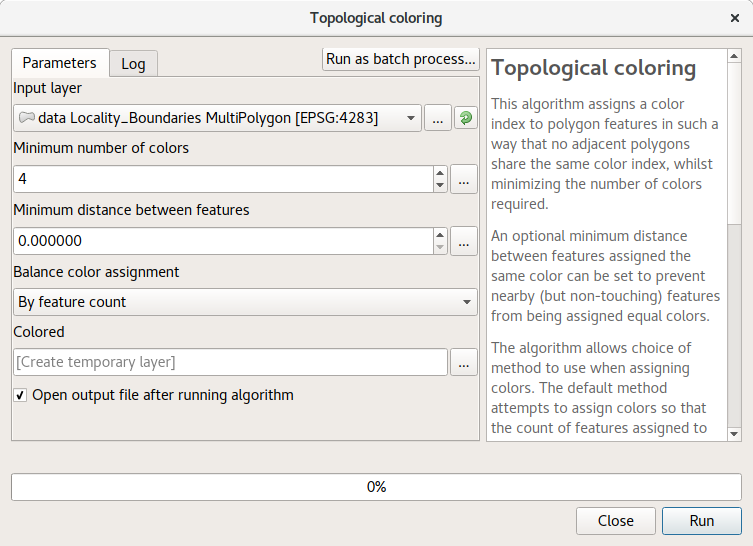 One new feature which landed in QGIS 3.0 today is a processing algorithm for automatic coloring of a map in such a way that adjoining polygons are all assigned different color indexes. Astute readers may be aware that this was possible in earlier versions of QGIS through the use of either the (QGIS 1.x only!) 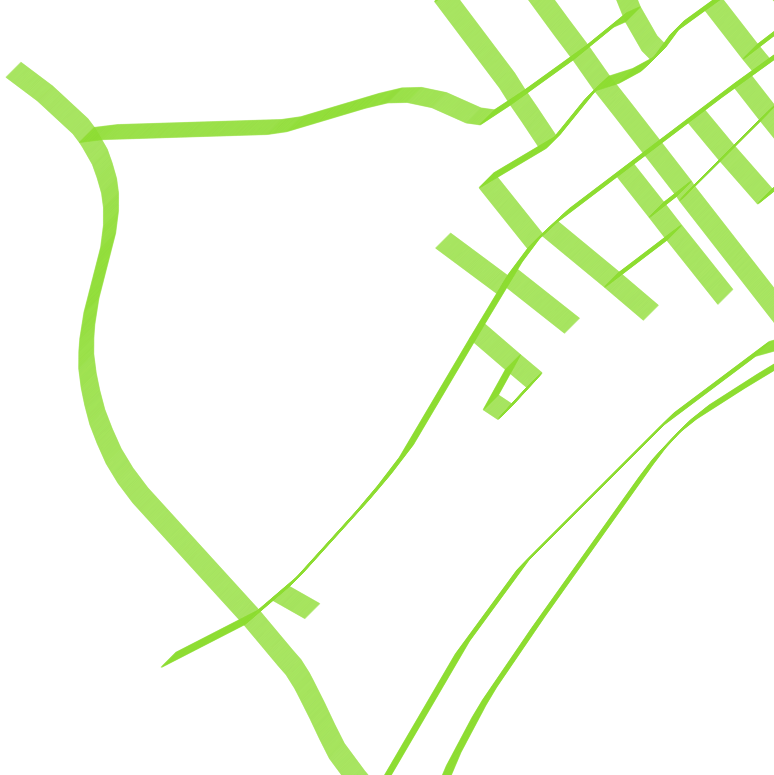 Topocolor plugin, or the Coloring a map plugin (2.x). What’s interesting about this new processing algorithm is that it introduces several refinements for cartographically optimising the coloring. The earlier plugins both operated by pure “graph” coloring techniques. 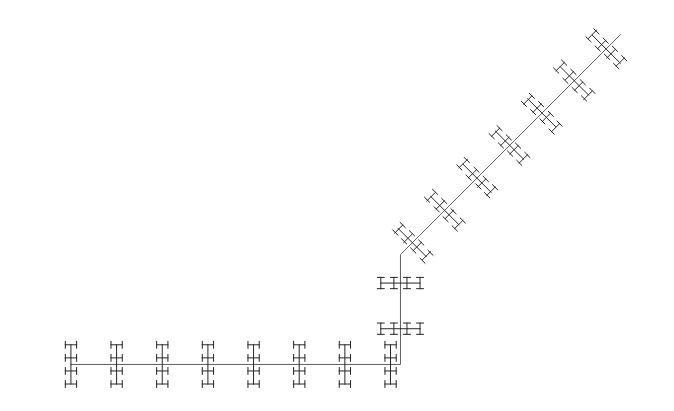 What this means is that first a graph consisting of each set of adjoining features is generated. Then, based purely on this abstract graph, the coloring algorithms are applied to optimise the solution so that connected graph nodes are assigned different colors, whilst keeping the total number of colors required minimised. 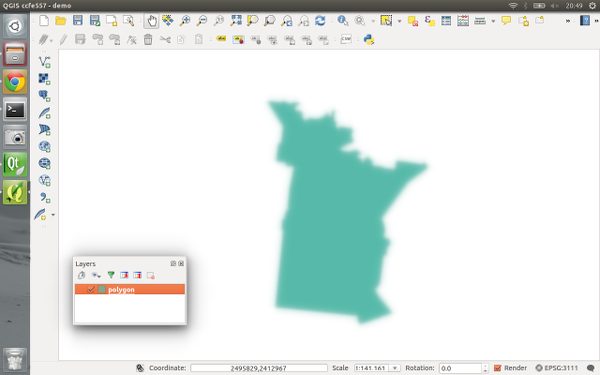 The new QGIS algorithm works in a different way. Whilst the first step is still calculating the graph of adjoining features (now super-fast due to use of spatial indexes and prepared geometry intersection tests! ), the colors for the graph are assigned while considering the spatial arrangement of all features. It’s gone from a purely abstract mathematical solution to a context-sensitive cartographic solution. Let’s explore the differences. First up, the algorithm has an option for the “minimum distance between features”. It’s often the case that features aren’t really touching, but are instead just very close to each other. Even though they aren’t touching, we still don’t want these features to be assigned the same color. This option allows you to control the minimum distance which two features can be to each other before they can be assigned the same color. The biggest change comes in the “balancing” techniques available in the new algorithm. By default, the algorithm now tries to assign colors in such a way that the total number of features assigned each color is equalised. This avoids having a color which is only assigned to a couple of features in a large dataset, resulting in an odd looking map coloration. Another available balancing technique is to balance the color assignment by total area. This technique assigns colors so that the total area of the features assigned to each color is balanced. This mode can be useful to help avoid large features resulting in one of the colors appearing more dominant on a colored map. The final technique, and my personal preference, is to balance colors by distance between colors. This mode will assign colors in order to maximize the distance between features of the same color. Maximising the distance helps to create a more uniform distribution of colors across a map, and avoids certain colors clustering in a particular area of the map. It’s my preference as it creates a really nice balanced map – at a glance the colors look “randomly” assigned with no discernible pattern to the arrangement. 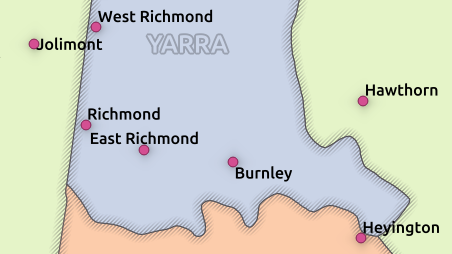 As these examples show, considering the geographic arrangement of features while coloring allows us to optimise the assigned colors for cartographic output. The other nice thing about having this feature implemented as a processing algorithm is that unlike standalone plugins, processing algorithms can be incorporated as just one step of a larger model (and also reused by other plugins!). 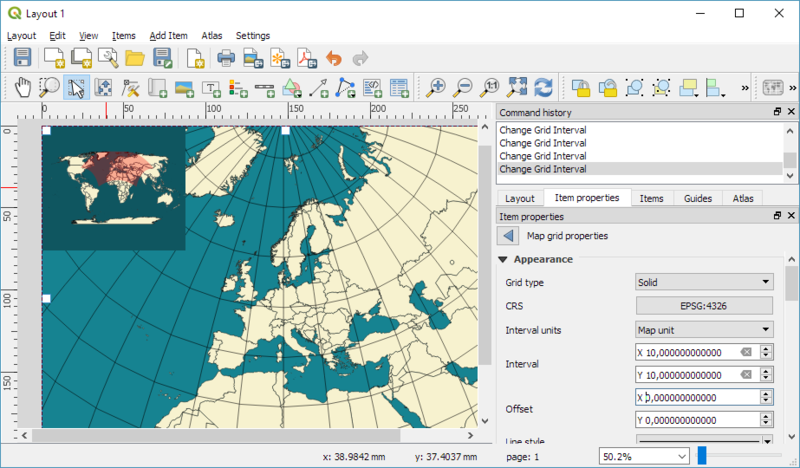 QGIS 3.0 has tons of great new features, speed boosts and stability bumps. This is just a tiny taste of the handy new features which will be available when 3.0 is released! In my previous posts, I discussed classic flow maps that use arrows of different width to encode flows between regions. This post presents an alternative take on visualizing flows, without any arrows. This style is inspired by Go with the Flow by Robert Radburn and Visualisation of origins, destinations and flows with OD maps by J. Wood et al. The starting point of this visualization is a classic OD matrix. In addition, I grabbed state polygons from Natural Earth Data. At this point, we have 72 flow features and 9 state polygon features. An ordinary join in the layer properties won’t do the trick. We’d still be stuck with only 9 polygons. Virtual layers to the rescue! The resulting virtual layer contains 72 polygon features. There are 8 copies of each state. Now that the data is ready, we can start designing the visualization in the Print Composer. This is probably the most manual step in this whole process: We need 9 map items, one for each mini map in the small multiples visualization. Create one and configure it to your liking, then copy and paste to create 8 more copies. I’ve decided to arrange the map items in a way that resembles the actual geographic location of the state that is represented by the respective map, from the state of Vorarlberg (a proud QGIS sponsor by the way) in the south-west to Lower Austria in the north-east. The first rule will ensure that the each map only shows flows originating from a specific state and the second rule will select the state itself. I think it is amazing that we are able to design a visualization like this without having to create any intermediate files or having to write custom code. Whenever a value is edited in the original migration dataset, the change is immediately reflected in the small multiples. Last time, I wrote about the little details that make a good flow map. The data in that post was made up and simpler than your typical flow map. That’s why I wanted to redo it with real-world data. 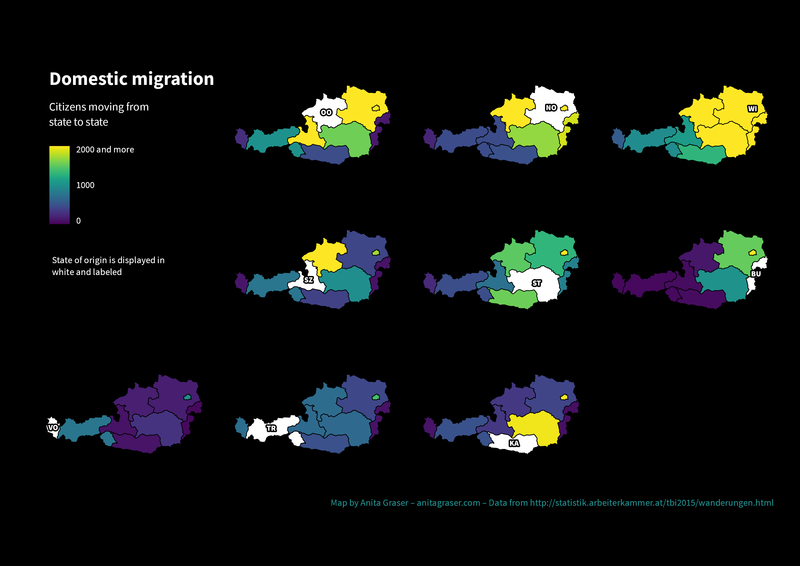 In this post, I’m using domestic migration data of Austria. With 9 states, that makes 72 potential flow arrows. 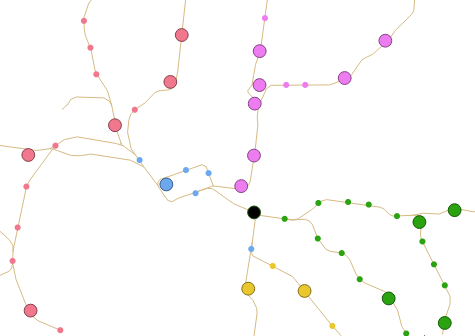 Since that’s too much to map, I’ve decided in a first step to only show flows with more than 1,000 people. Even with this very limited number of flows, the map gets pretty crowded, particularly around the north-eastern node, the Austrian capital Vienna. The same approach is used to control the side of the one-sided arrow head. The arrow symbol layer has two “arrow type” options for rendering the arrow head: on the inside of the curve or on the outside. This means that, if we wouldn’t use a data-defined approach, the arrow head would be on the same side – independent of the line geometry direction. Obviously, this ignores the corner case of start and end points at the same x coordinate but, if necessary, this case can be added easily. Of course the results are far from perfect and this approach still requires manual tweaking of the arrow geometries. 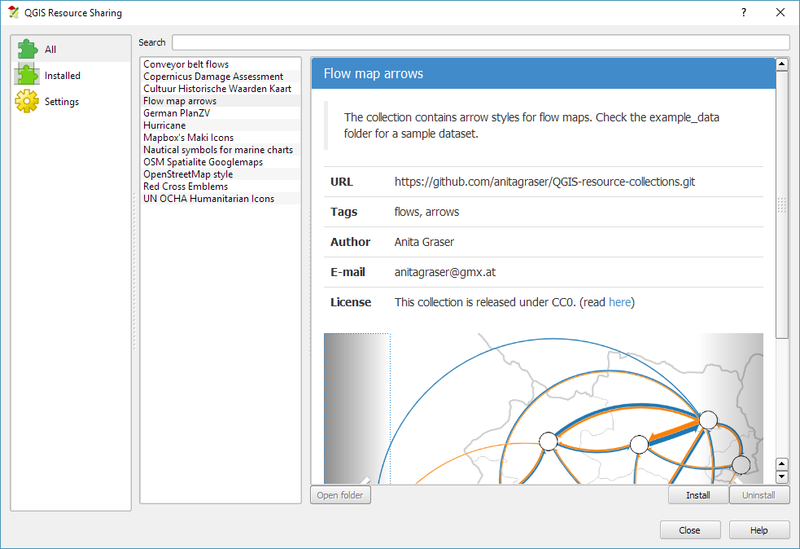 Nonetheless, I think it’s very interesting to see how far we can push the limits of data-driven styling for flow maps. Jenny, B., Stephen, D. M., Muehlenhaus, I., Marston, B. E., Sharma, R., Zhang, E., & Jenny, H. (2016). Design principles for origin-destination flow maps. Cartography and Geographic Information Science, 1-15.
overlaps between arrowheads and flows should be avoided. The main issue with this flow map is that it gets messy as soon as multiple arrows end at the same location. The arrow heads are plotted on top of each other and at some point it is almost impossible to see which arrow starts where. This is where the third design principle comes into play! Note that the buffer values in this expression only produce appropriate results for line datasets which use a CRS in meters and will have to be adjusted for other units. It’s great to have some tried and evaluated design guidelines for our flow maps. As always: Know your cartography rules before you start breaking them! PS: To draw a curved arrow, the line needs to have one intermediate point between start and end – so three points in total. 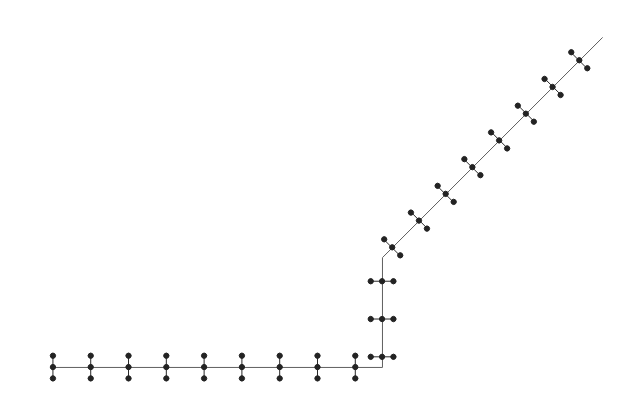 Depending on the intermediate point’s position, the line is more or less curved. The look reminds me of conveyor belts, thus the name choice. 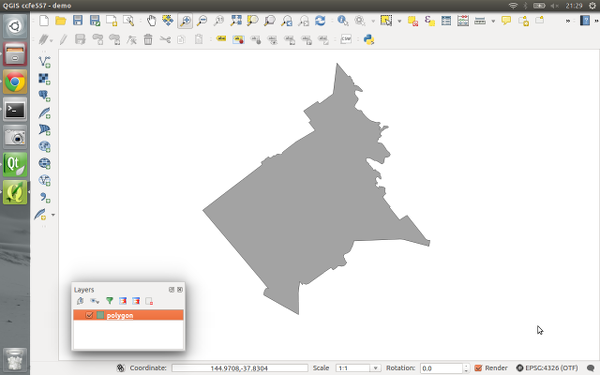 You can download the symbol and a small sample dataset by adding my repo to the QGIS Resource Sharing plugin. The collection also contains a sample Geopackage dataset which you can use to test the symbol immediately. 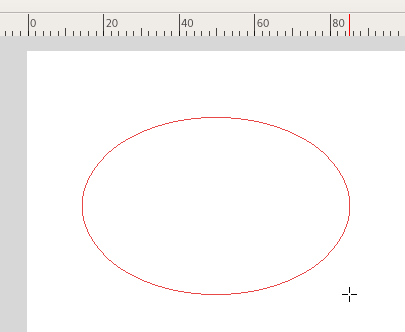 It is worth noting that the circle size has to be specified in layer CRS units. The expression constructs buffer circles, the belt geometry (convex_hull around buffers), and finally extracts the intersecting part from the start circle and the belt geometry. 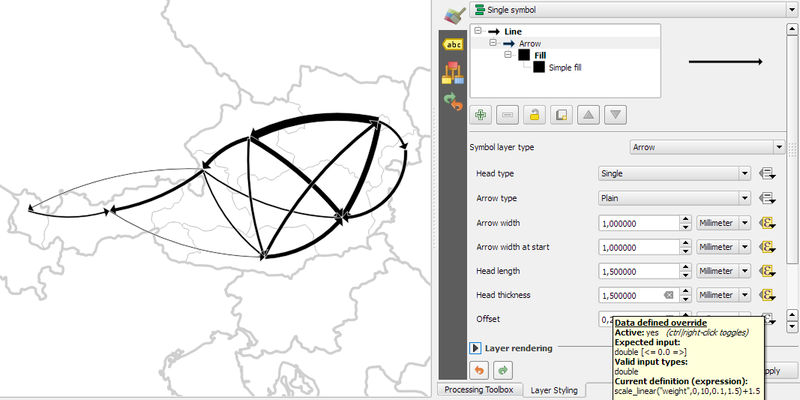 It’s holiday season, why not share one of your own symbols with the QGIS community? In the first part of the Movement Data in GIS series, I discussed some of the common issues of modeling movement data in GIS, followed by a recommendation to model trajectories as LinestringM features in PostGIS to simplify analyses and improve query performance. Visualizing movement direction is easy: just slap an arrow head on the end of the line and done. What about movement speed? Sure! Mean speed, max speed, which should it be? 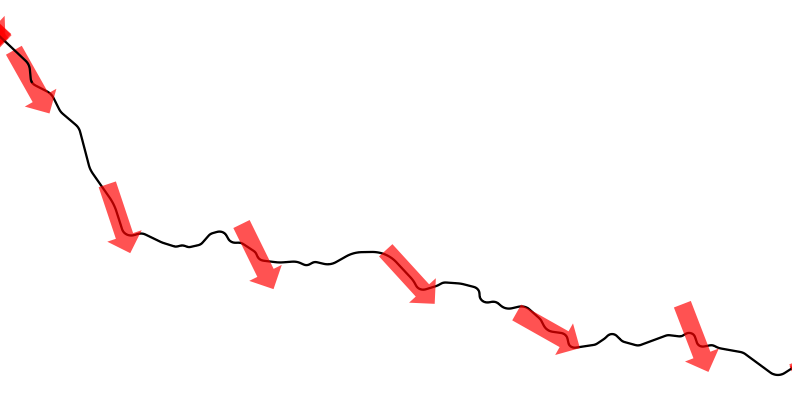 Speed along the trajectory, a value for each segment between consecutive positions. Very unsatisfactory! We had to increase the number of features 1429 times just to show speed variations along the trajectory, even though the original single trajectory feature already contained all the necessary information and QGIS does support geometries with measurement values. Thanks a lot to @nyalldawson for all the help figuring out the details! Similar approaches can be used to label segments or positions along the trajectory without having to break the original feature. Thanks to the geometry generator functionality, we can make direct use of the LinestringM data model for trajectory visualization. For those wishing to get a stylized map on QGIS composer, I’ve been working on a tutorial to share with you a project I’m working on. Fan of web design and GIS user since few years, I wanted to merge Material Design Style with Map composer. 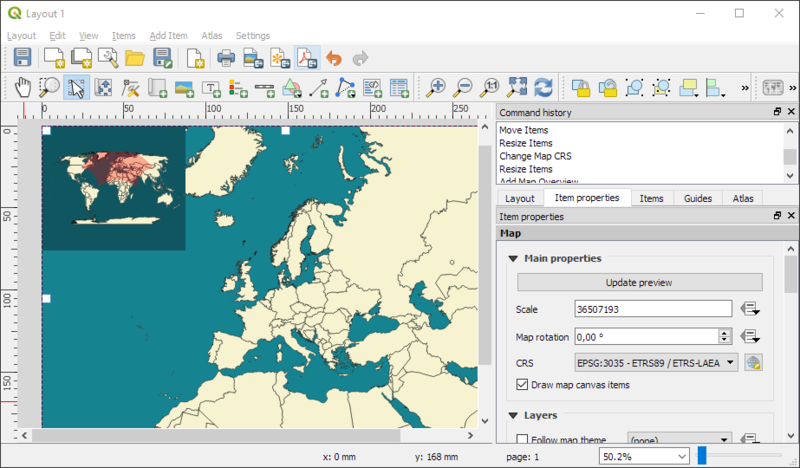 Here is a tutorial to show you how to make simply a Material Design Map style on QGIS. An Atlas Powered version is coming soon! Point cluster renderer crowdfunding – the final countdown! At North Road we are currently running a crowdfunding campaign to sponsor work on a new “Point Cluster Renderer” for QGIS. 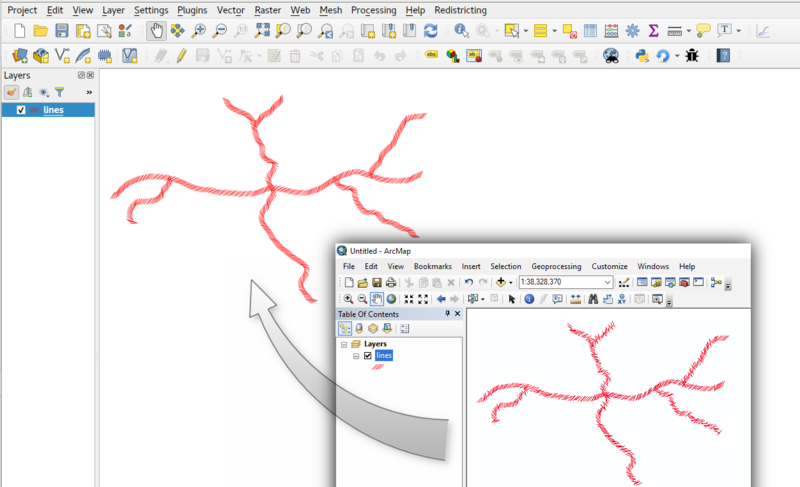 This is a really exciting new feature which would help make possible some neat styling effects which just aren’t possible in QGIS at the moment. The campaign is now in its final hours and we’ve still got some way to go to reach the campaign goals. If you’re interested in seeing this feature happen, now’s the time to jump onboard and contribute to the campaign! 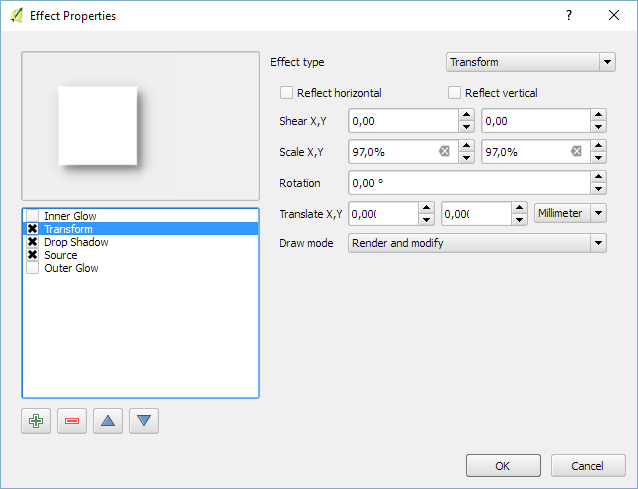 Before time runs out we’d like to share some more details on how the cluster renderer can be enhanced through the use of data defined symbol overrides. Data defined overrides are where a huge part of QGIS’ symbology power resides. If you’re not familiar with them, we’d suggest grabbing a copy of Anita Graser and Gretchen Peterson’s reference “QGIS Map Design” (seriously – buy this book. You won’t regret it!). Basically, data defined properties allow you to set rules in place which control exactly how each individual feature in a layer is rendered. 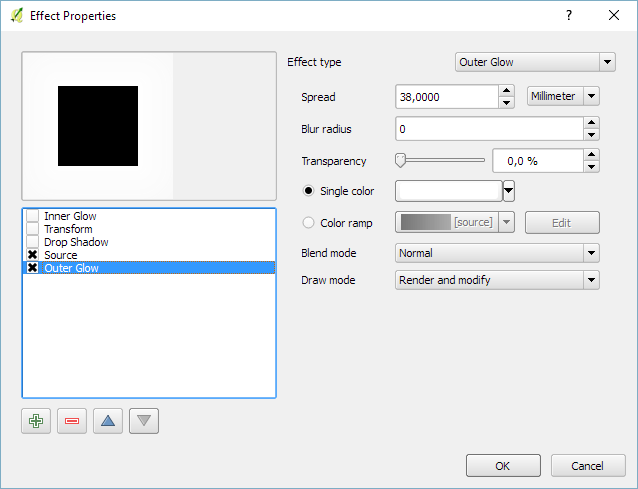 So, for instance, you can create an override which makes just a single feature render in a different color, or with a larger label, or so that all features with a value over 100 render with a bold label. We’ve designed the point cluster renderer to take full advantage of QGIS data defined symbology. What this means is that the cluster symbol (ie, the marker which is rendered when 2 or more points are sufficiently close together) will respect any data defined overrides you set for this symbol, and each individual cluster symbol can have a different appearance as a result. In this mockup we’ve also used a font marker symbol layer to render the actual cluster size inside the symbol too. 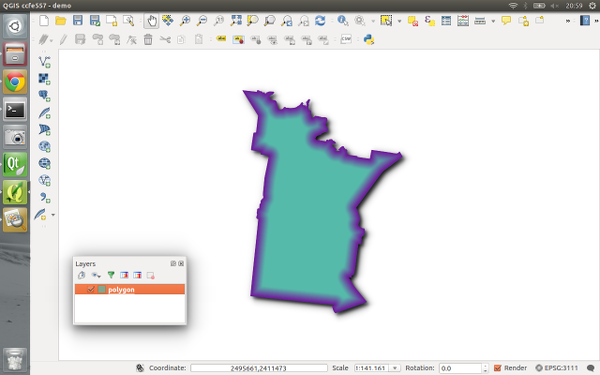 Of course, because almost every property of symbols in QGIS can be data defined there’s almost no limit how @cluster_size could be used – you could use it to change the symbol color by pairing it with QGIS’ ramp_color function, or alter the symbol opacity, or the outline width… basically anything! The second new expression variable which would be introduced with the cluster renderer is @cluster_color. This variable allows you to access the color of the points contained within each cluster. Since the cluster renderer is built “on top” of an existing renderer, any point which is NOT contained within a cluster is rendered using the specified renderer. For example, if you use a categorized symbol renderer then all points which aren’t in clusters will be drawn using these categorized classes. In this case isolated points will be drawn using different colors to match the predefined classes. Much nicer! You’ll note that a single dark grey point remains, which is where the cluster consists of stations from multiple different line segments. In this case @cluster_color is null, so the data defined override is not applied and the marker falls back to the dark grey color. So there we have it – using data defined overrides with the cluster marker renderer allows for extremely flexible, powerful cartography! Now’s the time to get involved… if you’re wanting to see this feature in QGIS, head over to the crowd funding page to find out how YOU can contribute! FOSS4G2016 is drawing closer quickly. 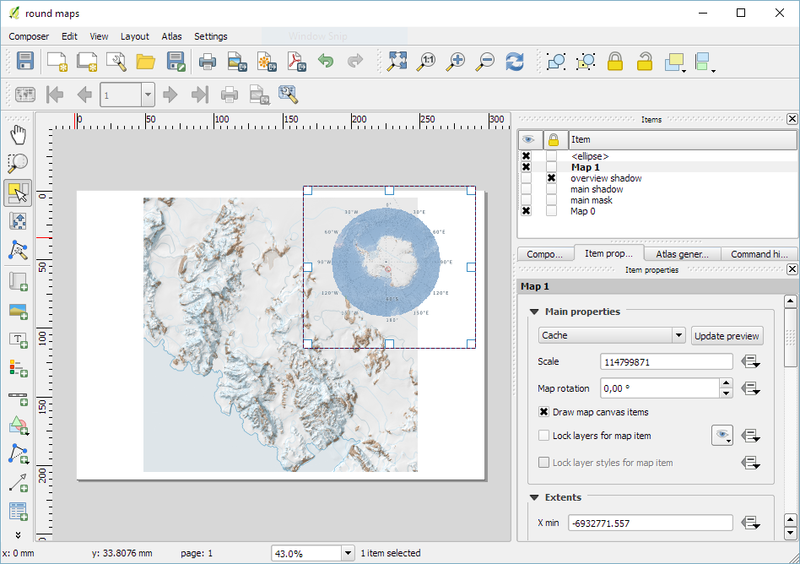 To get in the mood for a week full of of geogeekery, Locate Press is offering a special FOSS4G discount for QGIS Map Design. Use the code foss4gbonn to get 25% off your copy. Looking forward to meeting you in Bonn! The majority of the labels are still auto-placed, but Tottenham is now force to the lower left corner. What… no label for the largest station in Melbourne? The result is that labels will be placed so that they don’t cover the rail lines anymore! (Unless there’s no other choice). Much nicer. This change is something I’m really pleased about. It’s only applicable for certain situations, but when it works the improvements are dramatic. 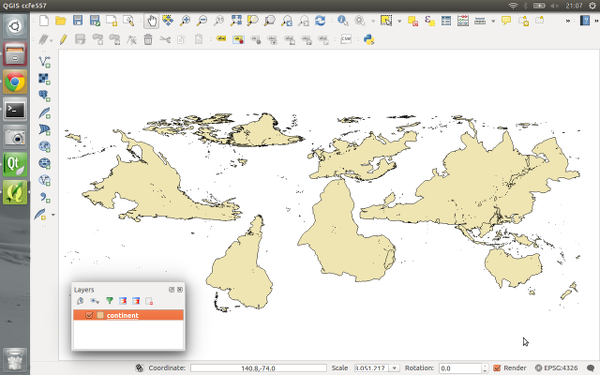 Now, QGIS has avoided placing labels over the boundaries between regions. Better auto-placement of labels like this means much less time required manually tweaking their positioning, and that’s always a good thing! The last change is fairly self explanatory, so no nice screenshots here. QGIS now has the ability to prevent drawing labels which are too large to fit inside their corresponding polygon features. 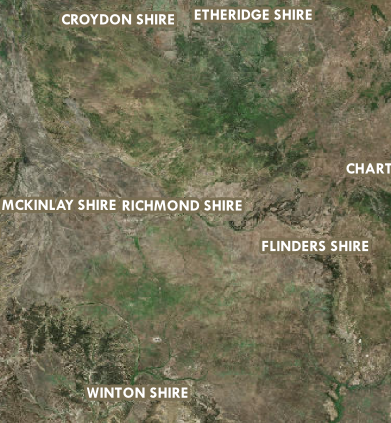 Again, in certain circumstances this can make a huge cartographic improvement to your map. So there you go. 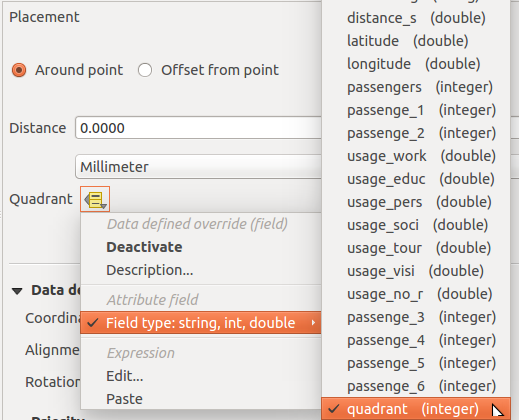 Lots of new labelling goodies to look forward to when QGIS 2.12 rolls around. 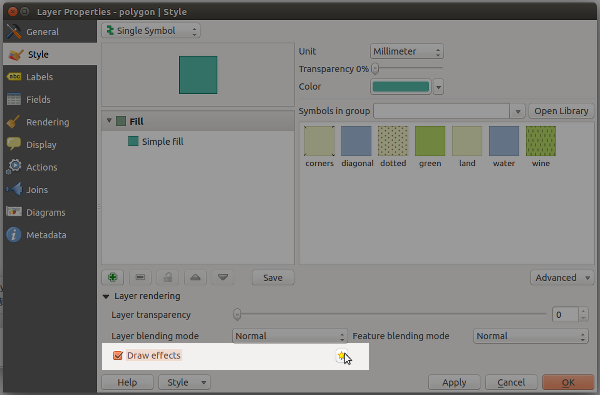 Introducing QGIS live layer effects! 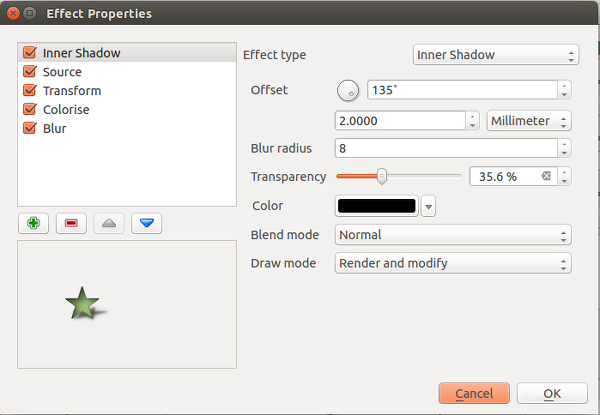 I’m pleased to announce that the crowdfunded work on layer effects for QGIS is now complete and available in the current development snapshots! Let’s dive in and explore how these effects work, and check out some of the results possible using them. If I apply the settings now, you’ll see that the polygon layer is now blurry. Now we’re getting somewhere! Of course, if you really wanted, you could rearrange the effects so that the drop shadow effect is drawn above the source!.. Change your perspective on the world! Remember that all these effects are applied when the layers are rendered, so no modifications are made to the underlying data. So what we have here is that the polygon is drawn rotated by 45° by the transform effect, and then underneath that there’s a grayscale copy of the original polygon drawn by the colorise effect. The results of the transform effect have been rendered, but they haven’t affected the underlying colorise effect. The last thing I’d like to point out is that effects can be either applied to an entire layer, or to the individual symbol layers for features within a layer. Basically, the possibilities are almost endless! Python plugins can also extend this further by implementing additional effects. All this work was funded through the 71 generous contributors who donated to the crowdfunding campaign. A big thank you goes out to you all whole made this work possible! I honestly believe that this feature takes QGIS’ cartographic possibilities to whole new levels, and I’m really excited to see the maps which come from it. Lastly, there’s two other crowdfunding campaigns which are currently in progress. 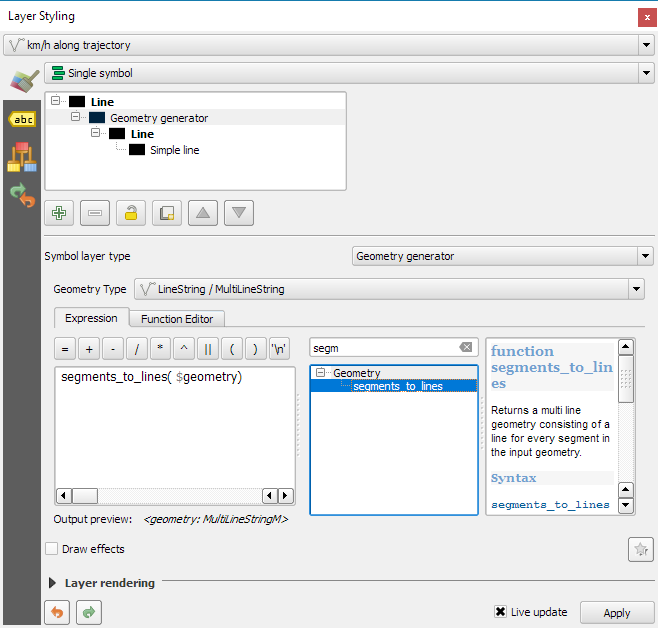 Lutra consulting is crowdfunding for a built in auto trace feature, and Radim’s campaign to extend the functionality of the QGIS GRASS plugin. Please check these out and contribute if you’re interested in their work and would like to see these changes land in QGIS. 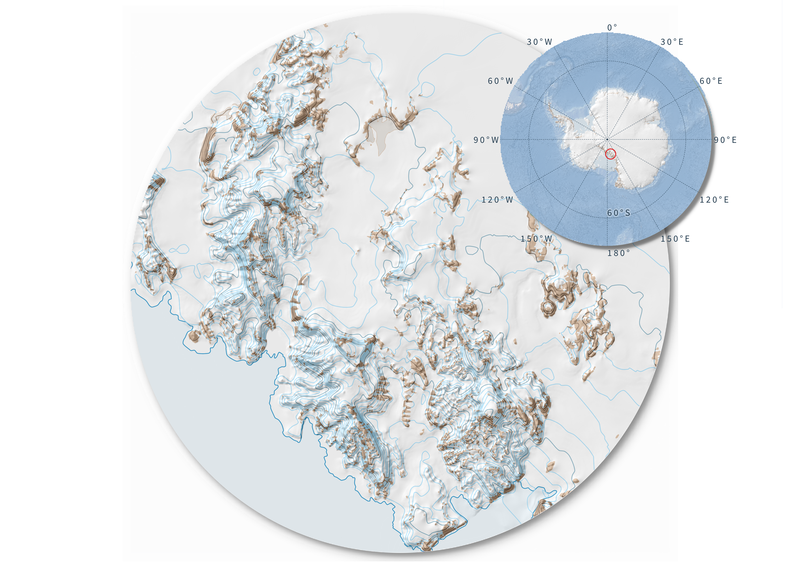 All maps in this post are created using data from the Quantarctica project. Voilà! Both maps appear are nicely circular. It is worth noting though that this workaround has a downside: it is not possible to create automatic grids/graticules for these maps. The graticule in the overview map only works because it is a layer in the main project that was already clipped to the circular shape. 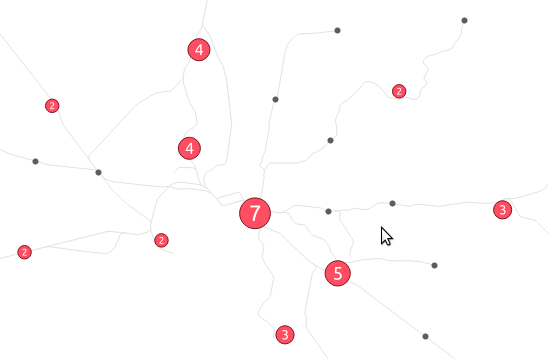 Add another ellipse to create the shadow for the overview map. For more cartography tips and tricks check my new book QGIS Map Design or join my QGIS training courses.